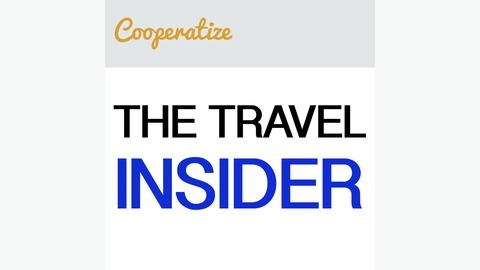 The Travel Insider is a show about trends and insights for travel professionals. Happy 2018! 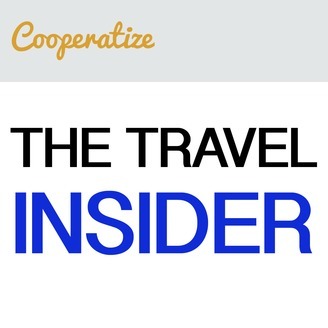 It’s been a while since our last Travel Insider podcast, but we’re glad to start off the year with this awesome episode. In this episode, we speak with former personal trainer & coach Blaire Massaroni who is an account manager here at Cooperatize. Blaire basically keeps the platform running for all our bloggers and influencers and has a passion for storytelling and traveling, making her the best resource for our community. Blaire recently spoke at The Female Voyager: Navigating the Travel Startup Space, an event focusing on female founders and entrepreneurs in the travel space. Apologies in advance for this audio on this podcast, we’ll have it fixed for the next one! As a former personal trainer and yes, bikini competitor, Blaire knows how to go after the goals she sets for herself and for her clients. We discuss how her background as a trainer helped her get into the travel industry and into a startup. Blaire recently moved to Charleston, S.C. and has nothing but positive things to say about the city of Charleston (shout out to Charleston CVB!). Having been a New Yorker for 9 years, moving to Charleston was a big move for Blaire. Blaire talks about the amazing community in Charleston and we’re so glad she’s found a new home. Blaire’s new home: Charleston, S.C.
Blaire discusses how she sets goals and “owns” her situation, no matter how challenging it can become. She elaborates about how she received this trait from her mother, who defines the word “success” for her. Most travel bloggers and influencers happen to be women, and Blaire discusses how female travel professionals can find their voice and own their stories during a time when women’s rights are at the forefront of our national consciousness. In terms of quirky things she believes in, listen to the end of the episode to hear her take on crystals.